We have slashed the cost of iXBRL compliance! This all new iXBRL Web app makes iXBRL easy and affordable. Enter data directly into a form, with auto calculating sub-totals and grand totals. Copy / Paste your Accounting policies, Notes, Directors Report etc. and create your complete CIPC submission file in iXBRL format. You can even complete the entire process before you need to pay. Our launch webinar for iXBRL Mate in AuditMate / AccountsMate was incredible. If you missed it or want to recap you can watch it right here: It’s an edited version to save you time! You should also receive an email confirming all the details submitted. So what does the Co’s Act have to say about this? AFS are required to be prepared within 6 months of a company’s financial year end. AFS must be complete in all respects ie. Directors report, audit/review report, signed etc. ….and if this is not done? When the audit/review commences the auditor/reviewer must report a Reportable Irregularity to CIPC/IRBA after discovery of the fact. The Directors will be informed and must take steps to rectify the situation before the auditors/reviewer makes a second report of CIPC/IRBA, within 30 days of the first report. If the AFS are not issued before the second report in ii.) above, the company can expect a compliance notice from CIPC in the near future. A formal notice from CIPC demanding compliance by a specified date. Usually within 3 – 9 months. Comply or suffer the consequences. Those could be up to 10% of Turnover during the period of non-compliance. 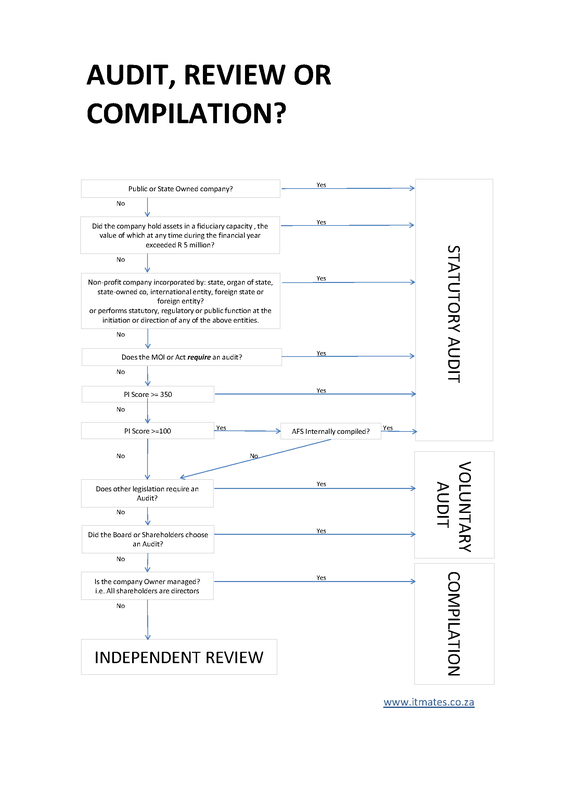 This isn’t new, but it would appear that CIPC are serious about stamping out continuous non- compliance so Directors, Auditors and Reviewers need to be serious about their timeliness too! Read the Company’s Act for yourself. You will find this information in Section 30. XBRL is short for E(x)tensible (B)usiness (R)eporting (L)anguage, being the international standard for digital business reporting. 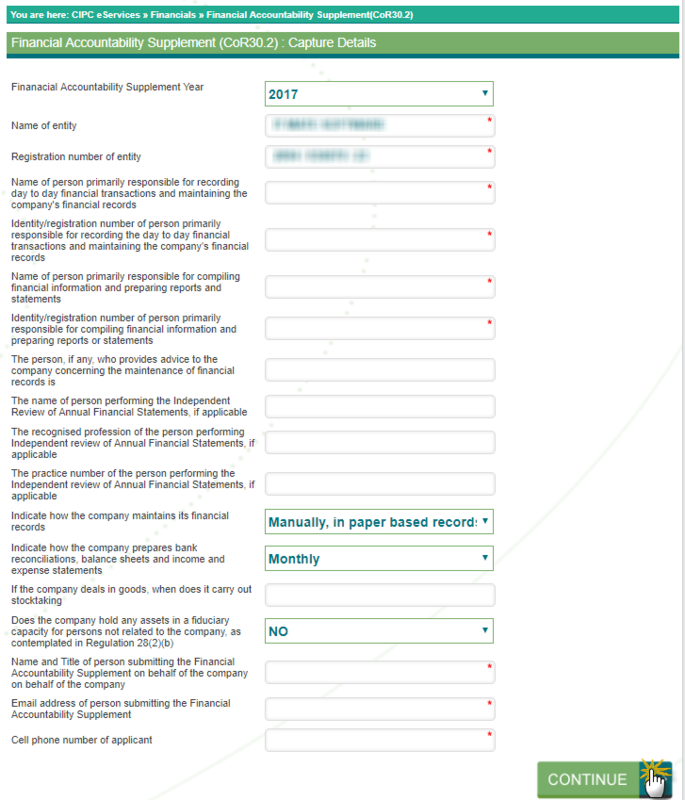 This allows for the creation of computer files which contain financial reporting information which is not easily readable by humans. It is ideal for passing information between computers but is of little use when the information needs to be viewed by humans too. iXBRL or (I)nline XBRL is the international standard that enables both human-readable and structured, machine-readable data to be included in a single document. An iXBRL document is included in an xhtml file which can be opened in any web browser (e.g. Chrome). In this way the human-readable data is displayed in the browser and the machine readable is hidden from view. When the same file is read by the computer to which the file is ‘submitted,’ it will only read the machine readable data and ignore the human-readable bits. Who Needs to Submit iXBRL AFS? 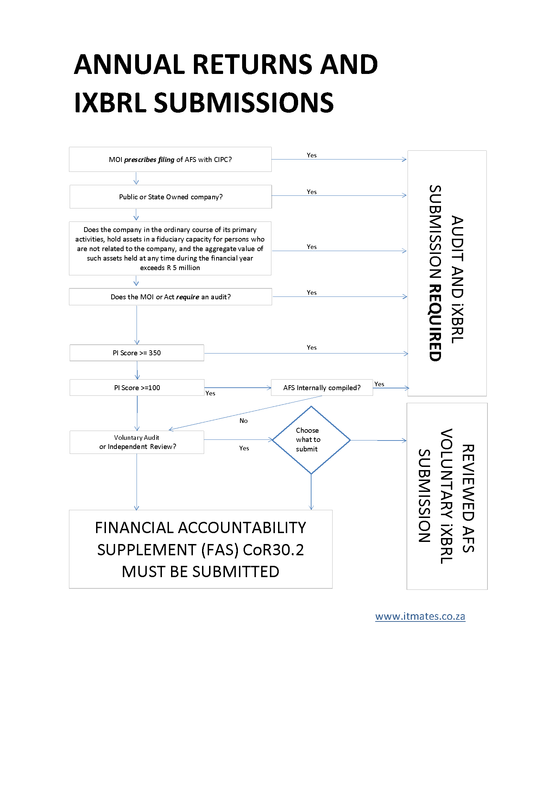 • Your entity has a Memorandum of Incorporation that prescribes filing of audited financial statements. • Your entity is a private or personal liability company and, in the ordinary course of its primary activities, it holds assets in a fiduciary capacity for persons who are not related to the company, and the aggregate value of such assets held at any time during the financial year exceeds R5 million. • Your entity is a private or personal liability company that compiles its AFSs internally (for example, by its financial director or one of the owners) and has a Public Interest Score (PIS) of 100 or more. • Your entity is a private or personal liability company that has its AFSs compiled by an independent party (such as an external accountant) and has a Public Interest Score (PIS) of 350 or more. So this is initially aimed at the larger, non-owner-managed entities. 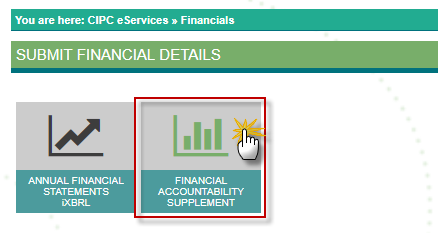 What About Financial Accountability Supplements? 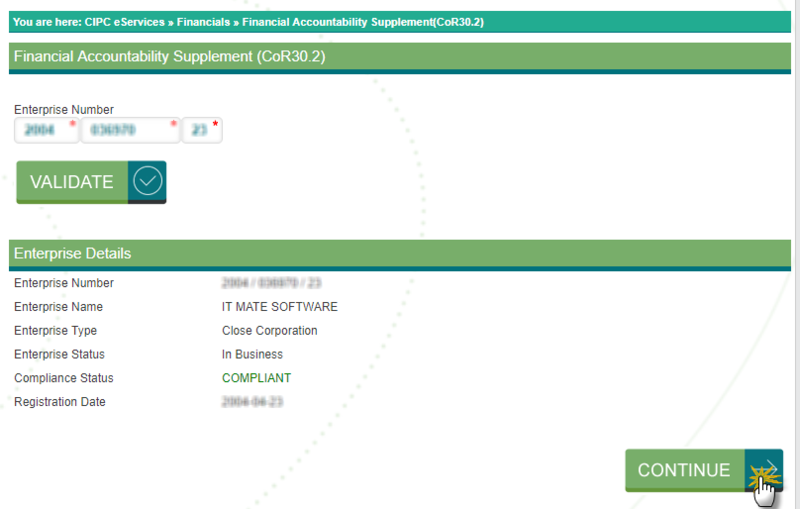 Financial Accountability Supplement (CoR 30.2) submissions are still required for all CC’s and Companies that are not required to submit Annual Financial Statements in iXBRL format. However, in terms of Regulation 30(3) a company that is not required to have its AFS audited, may file its audited or reviewed AFS (in iXBRL format). This may be more efficient than completing a CoR 30.2, but only applies if the AFS are audited or reviewed. How Can iXBRL Mate assist? IT Mates has developed iXBRL Mate, probably the easiest to use Excel ‘tagging’ system available, to solve the problem of creating iXBRL submission files from existing Annual Financial Statements. iXBRL Mate was show-cased at our webinar on 28 June 2018 and officially released as version 1.0.0.0 on 3 July 2018. 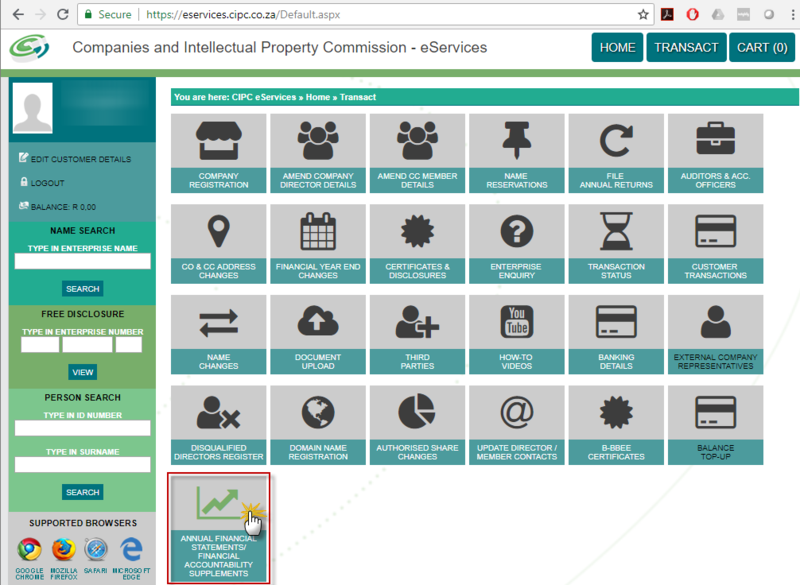 It is available for download from www.itmates.co.za and is free to use until 31 August 2018. Please make use of this opportunity. Our launch webinar for iXBRL Mate was incredible – over 100 people attended but a lot also couldn’t make the live event.